There is wide variability in the way that individual children metabolise different drugs. In this project, Professor Saha is setting out to tailor therapy to individual children based on their drug metabolism, adjusting both the dose and scheduling accordingly. We hope that this will help decrease the rates of both toxicity and disease recurrence. Acute lymphoblastic leukaemia (ALL) is the most common form of childhood cancer. It accounts for 80% of all childhood leukaemias, affecting up to 400 children a year in the UK. Children under the age of five years are at greatest risk, with half of all cases occurring in this age group. As recently as the early 1960s, childhood leukaemia was considered incurable. By the late 1970s, more than 50% of those diagnosed with ALL were surviving for at least five years. And survival has continued to increase decade by decade ever since, to the point that the survival rate is now above 90%. Surprisingly, no new drugs have been introduced for four decades, with the increased survival having been brought about by intensifying combinations of existing drugs. Whilst effective in curing the disease, these intensive treatments are toxic and expose young patients to a range of side-effects, some of which can be life-threatening. And of course, there is still a core of children, some 30-40 children a year in the UK, who still lose their lives to ALL. A major focus of current research is on tailoring treatments to more precisely meet the needs of individual children. The last national clinical trial, UKALL 2003, introduced MRD testing as a way of stratifying children into different treatment categories. 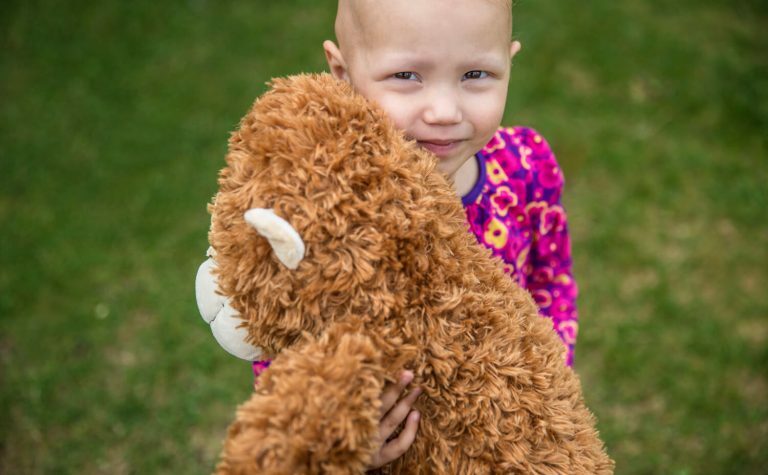 MRD stands for minimal residual disease, which is the amount of disease remaining in a child’s bone marrow after the first stage of treatment. The trial confirmed that children with low levels of MRD are at lower risk of relapse and can safely be given less intensive treatment, without increasing their risk of relapse. It also confirmed that children with high MRD benefit from receiving more intensive therapy, helping them to avoid relapse. MRD testing is now routinely used as part of the treatment for ALL to enable doctors to tailor children’s therapy. Whilst MRD has been shown to be a sensitive and reliable marker of treatment response, it provides no mechanistic explanation. Differences in drug metabolism between different patients may explain differences in treatment response and the current approach to treatment does not take this into account. This means that therapy may be sub-optimal in some children, resulting in disease recurrence whilst, in others, reduced drug clearance may lead to excess toxicity. 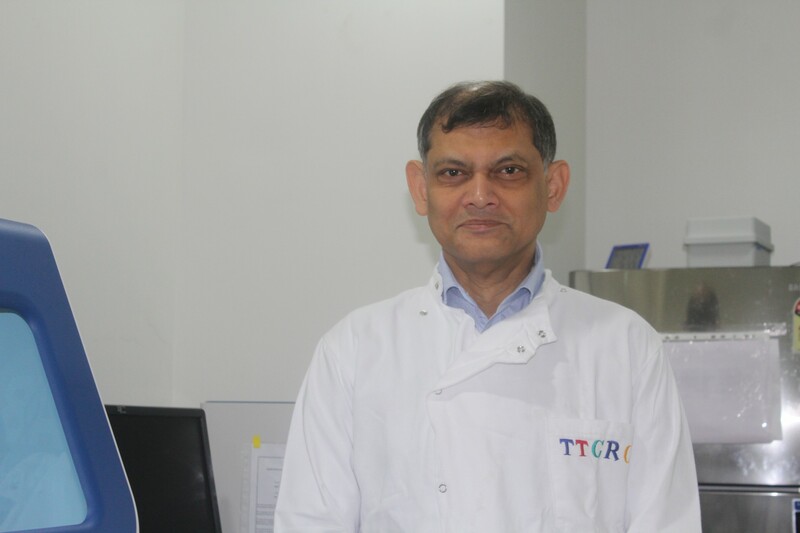 Professor Vaskar Saha is a Professor of Paediatric Oncology and head of the Children’s Cancer Group at the Paterson Institute for Cancer Research, part of the University of Manchester. The Paterson Institute is one of the world’s leading cancer research institutes and provides the project team with access to world-class research facilities and essential technical expertise. The project team also includes Professor Ajay Vora, Dr Gareth Veal and Dr Nick Goulden, some of the UK’s most experienced clinical triallists in childhood ALL. Over the last decade they have delivered among the best outcomes achieved internationally for childhood ALL. The current national clinical trial, UKALL 2011, is using MRD testing to monitor the effect of further modifications to therapy including whether we can reduce steroid burden and target high dose therapy more effectively. The design of this trial puts the team in a unique position to investigate speculated relationships between the different drugs used in the treatment of childhood ALL, and the child’s response to therapy. A sub-set of 800 of the children taking part in UKALL 2011 will be analysed as part of Professor Saha’s additional study. Samples from these patients will be analysed to provide information about each patient’s metabolism of the leukaemia drugs. The design of UKALL 2011 will enable the team to investigate individual variations in drug metabolism, to explore synergy between drugs and to correlate this with early response to therapy, toxicity and outcome. This project takes the important and rational next step in ongoing efforts to develop more effective treatments which are tailored more specifically to individual patient needs, so called ‘Personalised Medicine’. Although the survival rate for childhood ALL is now above 90%, this has been achieved through the use of increasingly intensive treatment regimes, putting young patients at risk of long-lasting, and potentially life-threatening, side effects from the toxic drugs used. Through this project, Professor Saha and colleagues will develop techniques that permit the identification of patients who require more, less or modified therapy, leading to the design of improved treatment strategies, incorporating individualisation of therapy to decrease toxicity and further improve outcome. *this project is being funded in collaboration with Great Ormond Street Hospital Children’s Charity, with each charity contributing 50% of the total cost of £281,222. Professor Vaskar Saha & Dr Ashish Masurekar, Paterson Institute, University of Manchester; Professor Ajay Vora, University of Sheffield; Dr Gareth Veal, Newcastle University; Dr Nick Goulden, Great Ormond Street Hospital.